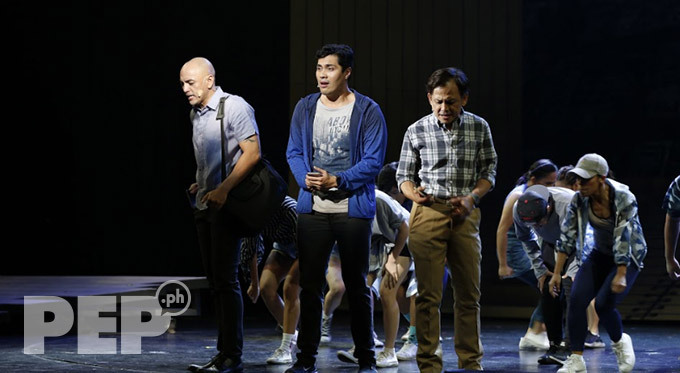 (L-R) OJ Mariano, Gian Magdangal, and Jon Santos reprise their roles for the second run of the Ang Huling El Bimbo musical. 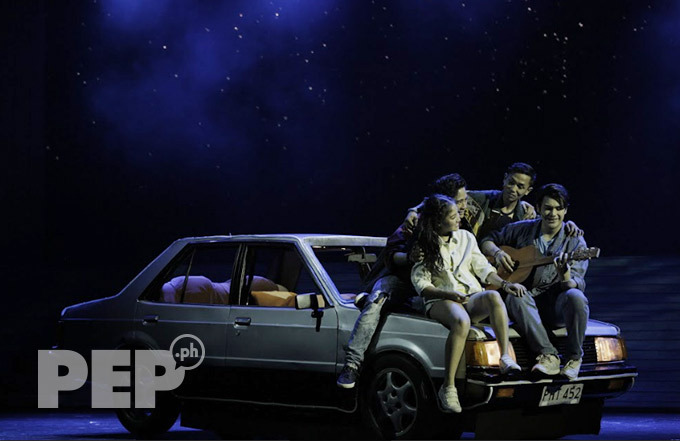 Ang Huling El Bimbo, the original Filipino musical that features the songs of the 1990s superband Eraserheads, returns onstage at the Newport Performing Arts Theater of Resorts World Manila this 2019. The jukebox musical written by Dingdong Novenario and directed by Dexter Santos is being staged every Thursday and Friday at 8 p.m., and Saturday and Sunday at 8 p.m. and 3 p.m.
Gab Pangilinan, who plays Joy in Ang Huling El Bimbo, was lucky enough to have her photo taken with Ely Buendia when he watched the musical recently. Ely was the frontman of the Eraserheads, the iconic band that ruled the airwaves during the '90s and beyond. Gab wrote in the photo's caption: "Bagay ka sa barkada namin, @elybumbilya. Hehe. Maraming maraming salamat!!! 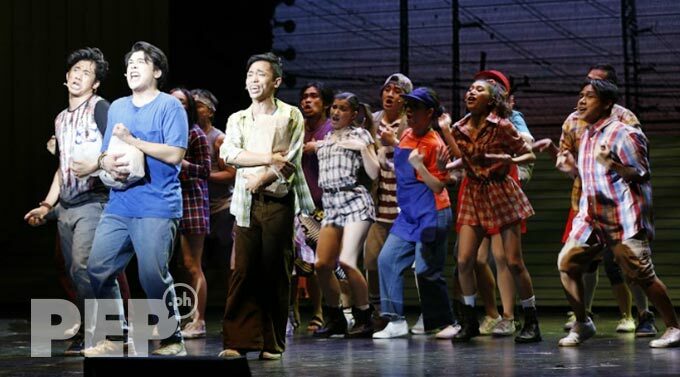 @fullhousetheater @resortsworldmanila #AngHulingElBimbo2019 #AngHulingElBimBLUE"
The original cast and ensemble of Ang Huling El Bimbo are joined by some new members for the second run of the jukebox musical. 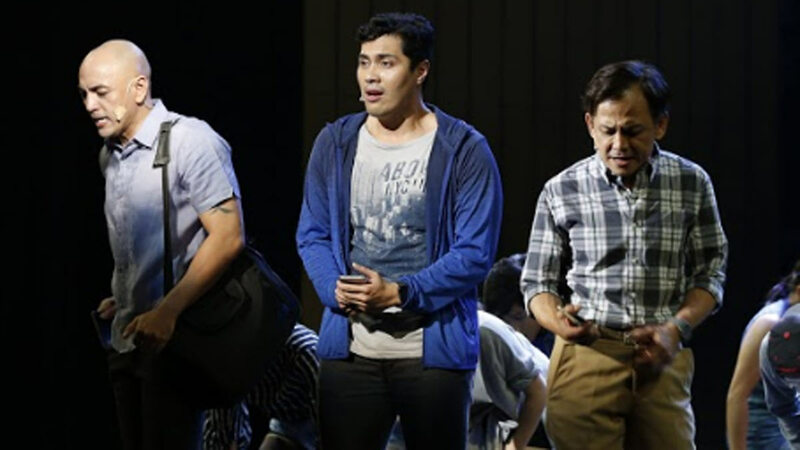 Lead stars (L-R) OJ Mariano, Gian Magdangal, and Jon Santos are back onstage as close college pals Emman, Hector, and Anthony who grew apart and estranged from one another. Tragedy brings them together to confront their past. Flashback to the 1990s: young Emman, Hector, and Anthony—played respectively by Boo Gabunada, Bibo Reyes, and Phi Ramos—meet for the first time as college freshies who share a room in their dormitory. 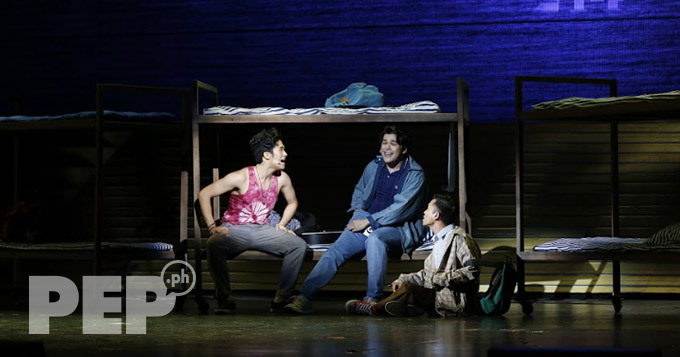 Dormmates (L-R) Emman, Hector, and Anthony sing the Eraserheads barkada song, “Minsan.” They become fast friends who are supportive of one another’s dreams and struggles. Boo, Bibo, and Phil remind audiences about the pains of college life. The college buddies reveal their backgrounds and personalities as they buy stuff from Aling Nena’s neighborhood store. Every male college student in the 1990s has memories of attending the compulsory Reserve Officers’ Training Course (ROTC). The small barkada of Emman, Anthony, and Hector finds a new member in Joy (in apron, played by Gab Pangilinan). Emman, Hector, and Anthony hang out where Joy works: at the small eatery called Toyang’s Carinderia. It is run by her Tiya Dely (played by Shiela Francisco). Toyang is the title of one of the Eraserheads’ earliest and biggest hits. Gab Pangilinan (in photo) is one of the new additions to the cast of Ang Huling El Bimbo. She plays Joy, a pretty and optimistic girl who came from the province to help her Tiya Dely in running the carinderia. 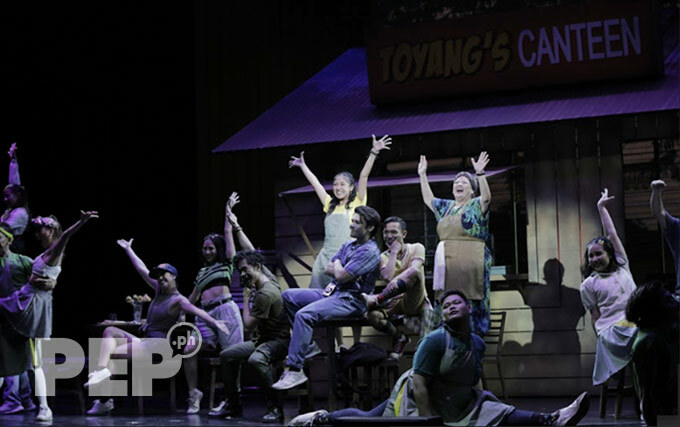 The older Joy is played alternately by Menchu Lauchengco-Yulo and Carla Guevara-Laforteza. Menchu was brilliant as ever, and very professional. She lost her husband, Jose Luis Yulo, in an ambush that happened last February 18 along EDSA. 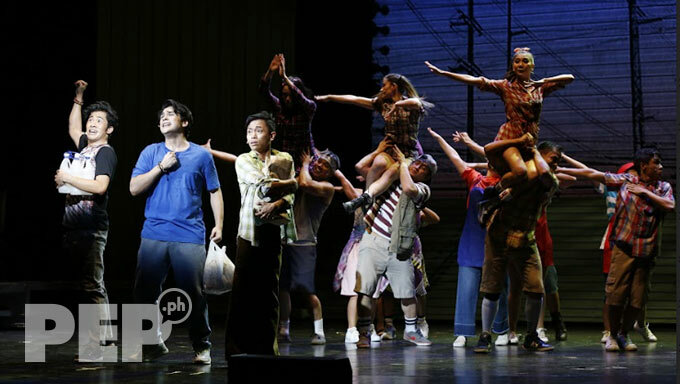 Days after dealing with the heartbreaking loss of her slain husband, Menchu showed her professionalism by resuming rehearsals for Ang Huling El Bimbo. 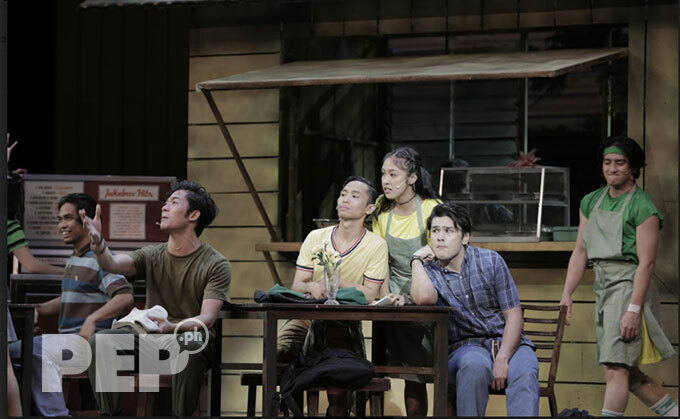 As Hector, Bibo strums the guitar and leads his barkada in singing a medley of Eraserheads tunes. He also owns the car that they’re sitting on. They’re having so much fun that they don’t think that tragedy is about to happen. 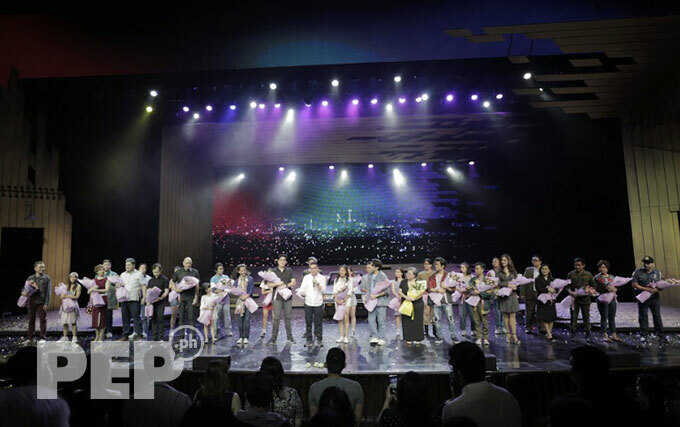 On behalf of the cast and the rest of the production, director Dexter Santos (in white, holding microphone) thanks the audience at the gala show. 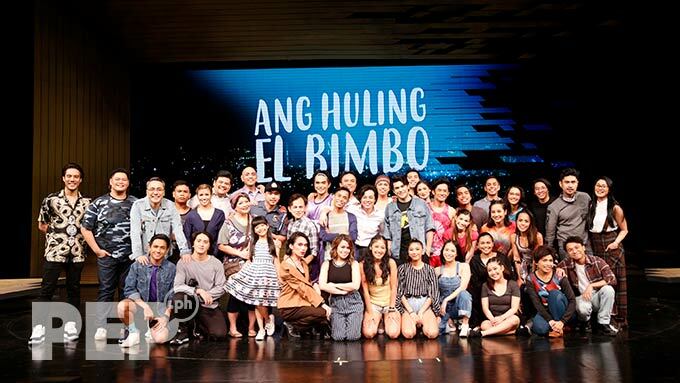 Tickets to Ang Huling El Bimbo are available at the Resorts World Manila Box Office and at all TicketWorld outlets. 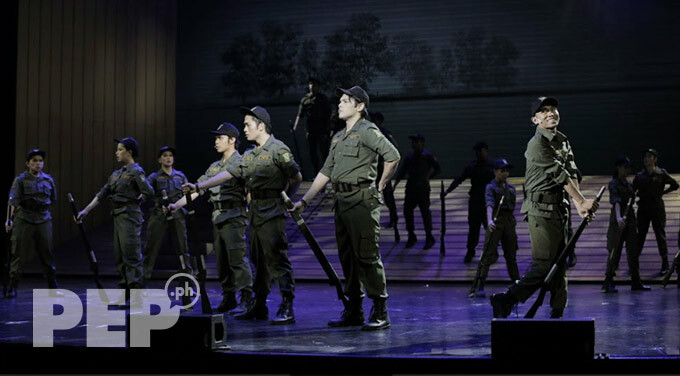 Download the RWM Mobile App or visit www.rwmanila.com for more info and promos for the musical.